I saw Men in Black 3 yesterday, and if you’re a fan of the first two movies you’ll probably like the third. The same alien weirdness humor is there, but with a time travel twist thrown in. MIB 3 makes much better use of the man-out-of-time theme than Dark Shadows. Josh Brolin was credible as a younger version of Agent K. However, Will Smith’s fish-out-of-water schtick doesn’t work as well in this one, considering his character has been a MIB agent for 14 years (all that alien weirdness should be second hat by now), but the writers didn’t lean on it too much. In comparison, I’d say MIB 3 was better than MIB 2 but, of course, not as good as the first movie. All-in-all an entertaining movie worth at least a matinee, especially if you enjoyed the first two movies. The 5E D&D open platest began yesterday, and after several attempts I was finally able to download the playtest packet. You can start the process to getting them here. As it’s an open playtest, I assume anyone can download the rules. In a nutshell, I like what I’ve read so far. While I have a few quibbles with parts of the system, for the most part I like the rules (at least as they are presented in the playtest) and hope I can run a game with them soon. The playtest rules are, in fact, simpler than Pathfinder’s Beginner Box, which is a very attractive proposition to me. However, I suspect that the final version of the game will have modular levels of complexity, so the playtest version probably represents the most basic incarnation of the rules. As others have mentioned, 5E (sorry, I’m not going to call it ‘D&D Next’) is basically a mish-mash of ideas from 3E, 4E and some old school concepts all rolled into one, but significantly simplified. Like the Beginner Box, the rules do away with many of the complications of 3E, such as attacks of opportunity. Also, the power curve is flattened considerably. Instead of ridiculously high DCs, most things have difficulty ratings in the low to mid teens. Many rolls and checks are based off of attribute modifiers instead of skills or separate stats, including saving throws. Some basic dungeon exploration functions don’t even require checks, unless there’s some complicating factor involved. 5E also does away with most of the situational/conditional modifiers of 3E/PF (and, presumably 4E). Instead, it uses an advantaged/disadvantaged system. If you are advantaged at something (or against someone), you roll two d20s and use the higher of the two results. If you are disadvantaged, you roll two d20’s and take the lower result. When I first read this, my gut reaction was to dismiss it as a needless twinking of the rules, a mere gimmick. But after reading the full rules and seeing how it ties in with combat, spells, class abilities and conditions I think it vastly simplifies the system. Many minor spells, such as magic missile, light and detect magic are treated as at-will spells…you can cast them as often as you like. More powerful spells take up Vancian style spell slots, though word is other types of casting classes will use different types of spellcasting systems (the playtest only includes 4 classes: cleric, fighter, thief and wizard). The save DC for spells is usually 10 + the caster’s relevant attribute modifier…they don’t appear to go up with level. A cursory look at the Beastiary shows that most monsters still take up about a page each, but much of that is basically given over to fluff. The actual stat blocks are significantly shorter than 3E/4E/PF or even the BB. The playtest version doesn’t use Touch AC, Flat-footed AC, combat manuever mumbo-jumbo. In fact, they look very old school to me, with the exception that they include scores for the 6 primary attributes. Of course, if the final version introduces additional levels of rules crunch, then the stat blocks could end up being much larger. If the playtest rules I read constituted the heart of the next version of D&D, I think I’d be very satifisfied with them. Whatever parts I disliked could be house ruled very easily I think…though naturally I’d run the playtest rules as written, as that’s the point of a playtest ;). I’ll be sure to post about the results if/when I get a chance to test drive the rules. I just realized that I never reposted the class and race templates for the Beginner Box. So, here they are, with corrected OGL and Paizo’s CUP. FacepOllutiOn caught an epic error in the PFBB Consolidated Class Conversions document. When I was copying everything over to the consolidated document I somehow replaced the Magus spells with the Witch spells. Even my master copy of the Magus class got screwed up. Obviously, I hit control+v when I meant to hit control+c. Well, I’m still firmly in the grip of Diablo III. I was going to write up a Medicus class using the PFBB format, but frankly haven’t been in the mood to do it. Instead, I’m talking about my current addiction. Don’t bother leveling up the Blacksmith, it’s waste of gold. You’d be better off saving your gold and buying the gear you need from the Auction House rather then spending it all on the BS and then ‘rolling the dice’ on crafted gear, only to get something you can’t really use. As the BS is nearly useless, don’t bother salvaging your blues and yellows. If they’re good, try selling them on the AH, otherwise just vendor them and use the gold to buy the gear you need. The Jeweler, however, is worth the expense of leveling, if only for the convenience of combining looted gems (though probably not profitable to combine gems for sale on the Auction House). The jeweler also costs much less gold to level up. I also recommend using ‘elective mode’ for your skills. Go to Options -> Gamplay -> then check the ‘elective’ box. This allows you to set any skill to any slot. It also allows you to have more than one skill from any given category. For example, you could have 2 or more defense skills, or 2 or more primary skills, etc. It’ll come in very handy if you play at Nightmare (or higher) difficulty. Diablo III is still sucking my life away. I didn’t even realize it’d been four days since my last post. Anyways, I’d like to do up the Medicus class, from the science-fantasy campaign ideas I’ve written about, PFBB style. I hope to have it up by tomorrow. 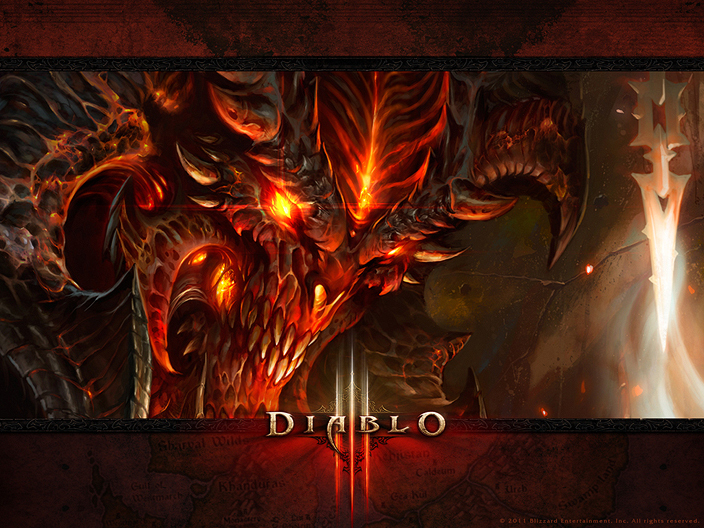 TDLR Version – If you liked Diablo II’s click-kill-n-loot model, you should like Diablo III. If you don’t like that kind of game, you’re not going to like Diablo III. Diablo III got off to a rough start yesterday, with the servers being down most of the day. However, today I’ve had no problems playing. The game plays more-or-less like Diablo II. Click on a monster to kill it, then click on the loot to collect it. It also keeps the same grim, dark atmosphere as the previous two games (definitely not for young kids). There are, however, some changes to other mechanics. Principle among them is the way you skill up a character. The skill tree of Diablo II is gone. Instead, you have six skill slots which unlock as you level your character. As you level you also gradually unlock a number of skills for each slot, for a total of about 25-30 skills. In addition, each skill has 5 or so different runes, which further modify that skill, allowing for a great deal of character customization. You can re-spec your skills and runes at any time, without cost. Another significant change is an emphasis on crafting. As you play you can level up the Blacksmith and a Jeweler. The blacksmith lets you craft weapons and armor, and salvage magic items, while the Jeweler cuts gem sockets into items, combines smaller gems into bigger ones, etc. Leveling a crafter requires a fair amount of gold, though to get them to the final level you need tomes, which drop in the game (reportedly at the hardest level, Inferno). You’ll also be able to loot plans to craft rare items. The art style is slightly cartoony (though not as exaggerated as WoW or Torchlight); however, given the scale of the characters and the dark lighting it’s only really noticeable during cut scenes or if you look closely at the details. Another minor change: the game does away with the Town Portal and Identify scrolls. Once you unlock Town Portal (fairly early in the game) you can teleport to town whenever you want. And to identify a rare item, just left click on it…voila! A more significant change is the inclusion of an online Auction House. Currently only the Gold Auction House (GAH) is active, but sometime next week the Real Money Auction House (RMAH) will come online (which I posted on last week). Lest you think you’ll become a millionaire playing Diablo III, Blizzard takes a hefty cut of your profits and imposes significant restrictions on auctions. Plus, there are about 1.3 billion Chinese happy to undercut you anyways. Still, the auction house is a nice feature, adding convenience and increased security (for real money transactions). The auction houses are also completely optional…you can just ignore them if you don’t like them. All-in-all, if you like Diablo style action RPG loot-fests, you’ll like Diablo III. If you hate those kinds of games, you’ll probably hate D3, too. You own a small spaceship roughly the size of a skyscraper. You control the bridge, some living quarters and maybe parts of engineering or life support. You have no idea what, or who, is in the rest of the ship, so you’d better find out. Remember to pack a lunch and your blast gun (just in case). Oh, and the ship is probably haunted, too. Your chief engineer may be a witch doctor (ignore his zombie interns…at least they work for free). His engineering rituals help stabilize your ship’s Damnation Drive. That’s right, your ship is powered by a small slice of Hell. You really don’t want that core to breach. And don’t worry if your witch doctor/engineer is turning a little zombie himself. It’s an occupational hazard, and besides it has it’s benefits. The Church of Space & Time tries to hold back the growing darkness by spreading faith and enlightenment. But where knowledge and learning fail, the Paladins are more than happy to fill the gap with laser swords and hand-flamers. A little napalm can work wonders under the right conditions. Tech Barbarians roam the galaxy, fighting as mercenaries and bodyguards or searching for the ancient Old Tech relics of their ancestors, from before the Sorce Wars. They are deeply suspicious of sorce, but enthusiastically embrace Old Tech, like blast guns and power shields. What is sorce? It’s an inexhaustible supply of mysterious power, a kind of ‘force’ if you will, which binds, penetrates and connects all matter in the universe. A few rare individuals, called sorcerers, have learned, through sheer willpower and intense rote memorization, how to harness sorce for their own ends. Granted, they no longer understand the principles behind sorce, but they do know that if you perform certain incantations and hand motions a predictable result occurs (well, most of the time). If you’re injured in your travels around the galaxy, you may employ the services of a Medicus, who can wield strong Medicine to heal you. Be warned, though, that many superstitious peasants view Medicine as an evil form of magic and may burn the Medicus, and you, at the stake, or throw you into a disintegration pod, or feed you to a baby Space Kraken…well, you get the idea. In your journeys, don’t forget to visit the mysterious Tomb Worlds, or the burnt out ruins of the Shire Worlds or the beautiful Death Jungles of Karaga V. There are uncountable numbers of abandoned facilities, space stations and derelict spaceships to explore as well, all potentially teaming with glorious wealth and Old Tech relics. Such fun! Picking up Diablo 3 later today. I may post a mini-review tonight or tomorrow…otherwise, I probably won’t be around much for the next couple of days. My mom wanted to see Dark Shadows for Mother’s Day so I took her out last Friday (avoided the Sunday crowds, too). I think I only ever saw one or two Dark Shadow epsiodes way back when, so I don’t know all that much about it other than that it was basically a supernatural soap opera, with vampires, ghosts and werewolves. Therefore, I can’t tell you how faithfully the movie follows the original series. What I can tell you is that the movie fell pretty flat for me. Not that it was a horrible movie…I’ve certainly seen, and even enjoyed, far worse movies. However, the script needed one or two more passes, I think. Between the 1970’s and the ‘man out of time’ theme they had a comedic gold mine to draw from, but most of the jokes either fell flat or just sort of hung there, unrealized. Frankly, I laughed harder at every joke in The Avengers than I did at any joke in Dark Shadows. Maybe my expectations were too high and if I’d gone into it knowing less about the movie perhaps I’d have enjoyed it more. None-the-less, if you’re a big fan of Dark Shadows or Johnny Depp it’s probably still worth seeing the matinee. Otherwise, save your money and watch it on Netflix in a few months.